Here is another gorgeous example of how bluestone can be the underlying element for structuring a beautiful hardscape design around your house. 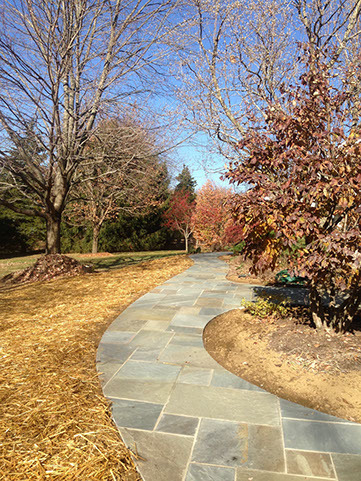 There is a curvy bluestone front path creating a freeform border for the plantings along the front of the house and this is contrasted by a square designed patio in the back yard. There are 2 squares, one space has the table and grill, the other space has a square fire pit. 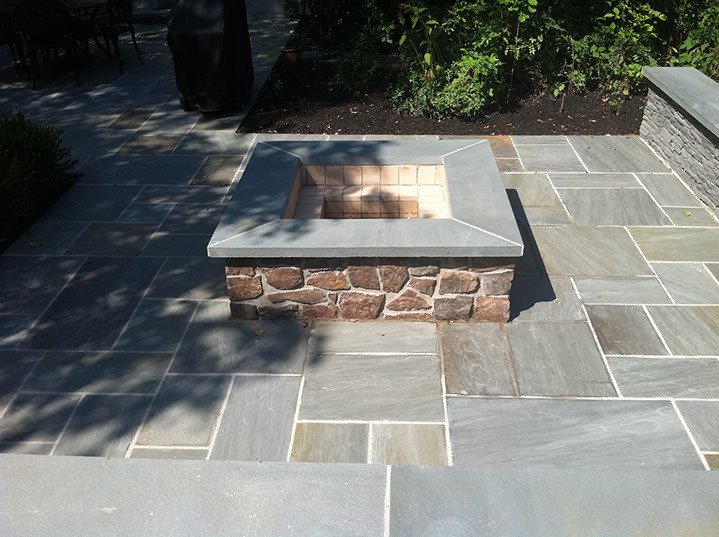 The fire pit is also square and has a natural stone veneer to make it stand out a bit from the bluestone. 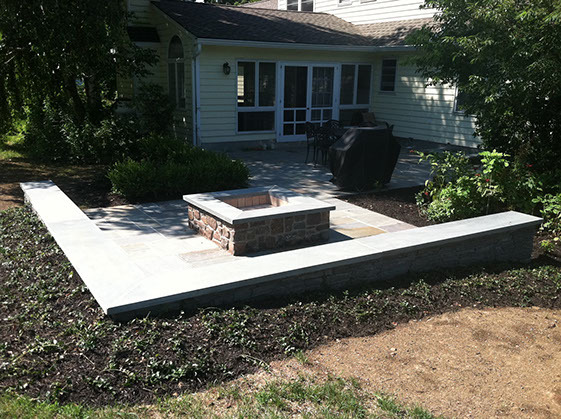 There are two retaining walls which also serve a dual purpose as sitting walls for gatherings around the fire pit. 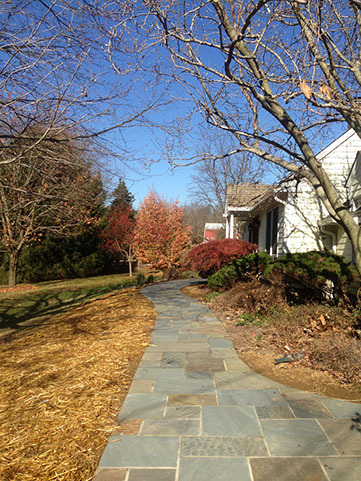 Overall this is an elegant hardscape design composed of beautiful bluestones. Here the square and rectangular bluestones are laid out square to the house, this pattern is complimented by the rounded outside form the walkway takes to create a natural meandering path. The overall effect looks wonderful.